CTI conveyors and Used CTI Magazine Loader or Mag Loader Conveyors: CTI Flat Belt Conveyors - CTI Lift Conveyors - CTI 1m Workstation and used SMT Conveyors from CTI, ATI, YS, Crown, Simplimatic, Fuji, Flexlink, Panasonic, JOT and Flextek! WE BUY AND SELL USED SMT CONVEYORS! Our huge in-house inventory of SMT Assembly Equipment is updated daily! 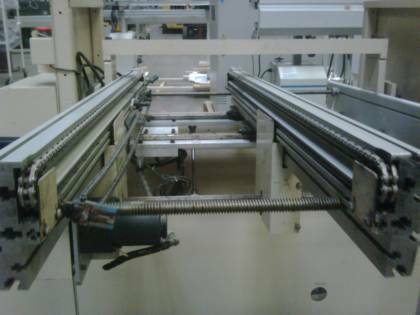 We sell high quality SMT assemblies and service SMT conveyors as well! Request a quote for CTI conveyors, CTI Magazine Loader Conveyors and other surface mount technology today! Quality Pre-Owned SMT Conveyor Inventory. We can handle your CTI, YS, Crown, Simplimatic, Panasonic, JOT, Fuji, SMT Conveyors and Magazine oader needs. Great service and support for Used CTI Magazine Loaders and Mag Loader Conveyors plus always quality SMT assembly equipment for sale. Largest Inventory of CTI, YS, ATI, Crown Simplimatic, Fuji, JOT and Simplimatic SMT Conveyors! Used SMT electronic production & SMT assembly equipment from the largest stocking dealer of Reconditioned SMT Conveyors and SMT assembly equipment!! 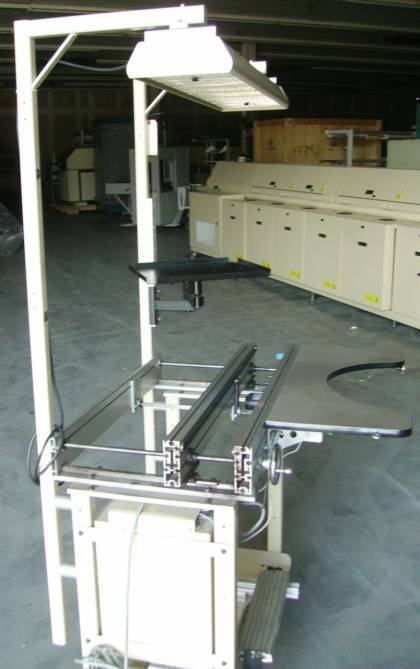 Mag Loader Conveyors, Work Station Conveyors and Used CTI Magazine Loaders ... We have SMT assembly equipment in stock! If your factory is in a transition phase, downsizing or re-deploying assets, especially running SMT assembly equipment in good condition, RECON offers several tiers of options to re-coup your investment cost on SMT assembly equipment. We buy SMT assembly equipment machinery! SMT assembly equipment liquidation sale on SMT assemblies and other SMT assembly parts and SMT assembly lines. We Buy Used CTI Conveyor/Magazine Loaders at an affordable price: We buy and sell Conveyors and SMT assembly equipment used to automate surface mount and thru-hole production. We also handle other related equipment used by OEM and CMS manufacturers. See our website for current listings or contact us directly with your specific needs. Other services include machine support, rebuilding and spare parts. We also handle SMT assembly equipment asset management as a service to you! We Sell Pre-Owned SMT Conveyors and SMT Assembly Equipment: Please browse our site for our IN STOCK SMT assembly equipment inventory! You can also contact Recon, inc. at our direct mobile 704.491.3390 or toll free at 888.795.6616 or our land lines at 704.795.6610. Additionally you can fax us 704-723-6540 and email is at info@reconsales.com email or call us to find the part you need. Wanting to buy smt assembly equipment for sale: Contact us to buy any of our Conveyor Models. Recon with over 14 years experience in disposition of SMT assembly equipment, test, industrial and industry peripherals – knows the current market value. This is augmented by a staff of technical experts in a given product line – which our competitors typically lack. Our team can explain in technical terms the value of your asset based on a variety of key indicators in any part of the line of an smt assembly. Manufacturers such as below is some of which our team is well verse, financially, and technically.